"Biography In Sound: Atom Menace and Promise"
For a philosopher to have strong opinions is expected. That the philosopher would be willing to go to jail over his beliefs is noteworthy. It is shocking if the philosopher is a member of the aristocracy and is still jailed for his views. If he is jailed at the age of 89, the world should stop and listen to what he has to say. 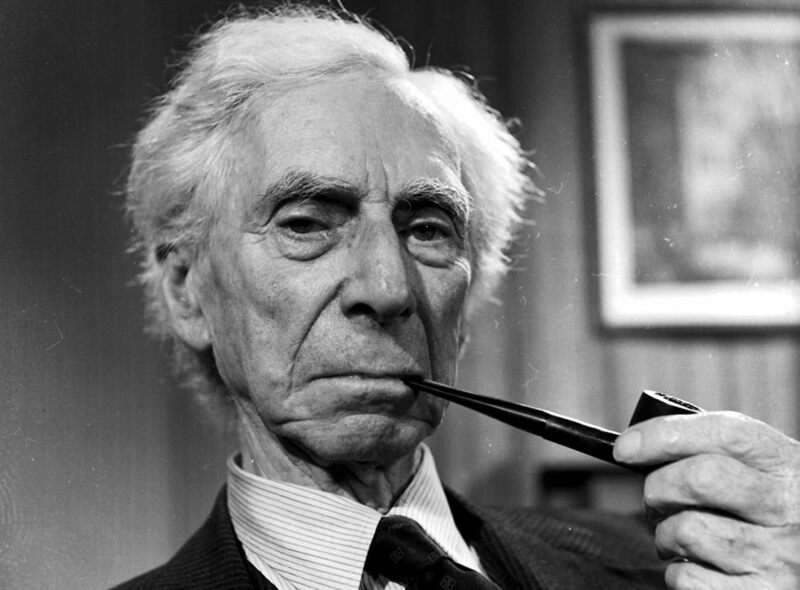 Bertrand Arthur William Russell, 3rd Earl of Russell, OM, FRS, was arguably one of the greatest minds ever to be born in the British Isles. His paternal grandfather had been Queen Victoria’s Prime Minister during the 1840’s and 1860’s. Bertrand’s parents were considered radicals in their time, scandalously advocating birth control and participating in an “open marriage”. The Russell’s had been influential since the rise of the Tudor dynasty. As a young man, Bertrand spent a good deal of time considering Christian dogma and eventually found it wanting. He was also deeply devoted to mathematics, and wrote that it was only the desire to learn more about mathematics that kept him from suicide. Russell would have a great influence on the study of logic, math and history, but it was as a social critic and political activist that he would make his greatest contribution. During the early years of the twentieth century, Russell led “a revolution against idealism”, eschewing the notion of intrinsic British superiority. He was imprisoned for his pacifism during the First World War, and wrote against the rise of Adolph Hitler before the Second World War. Russell was one of the early voices to speak out against the proliferation of Atomic Weapons. He wrote that their use on Hiroshima and Nagasaki had been morally justified, as they would have been in a war between the West and the Soviet Union, but after the USSR exploded their own atomic device, he began calling for a total abolishment of atomic weapons. In 1953, he recorded a series of lectures which were collectively titled Living in an Atomic Age. The lectures were broadcast over network radio in the United States, during primetime. In 1961, Russell was jailed for participating in a demonstration by the Campaign for Nuclear Disarmament. Russell was one of the first to raise the question of conspiracy theory surrounding the assassination of President John Kennedy, helping to form a Who Killed Kennedy Committee and publishing “16 Questions on the Assassination” in the weeks before the Warren Commission Report was published. 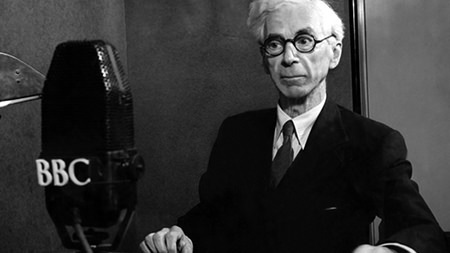 Bertrand Russell died of influenza in Wales on February 2, 1970, at the age of 97. In accordance with his will, there was no religious ceremony and his ashes were spread over the Welsh mountains. We actually read Russell when I was in high school in the late 1970's!